Language barrier? 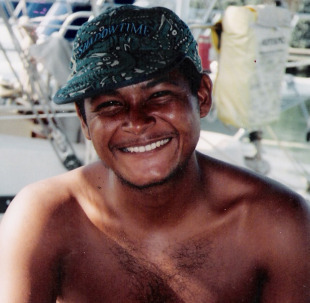 How about a smile...this face belonged to William, he did a lot of work for us when we were at the dock in Puerto La Cruz, Venezuela. He spoke very little English... we spoke very little Spanish... we had absolutely no problem communicating or any misunderstandings due to speaking different languages. Having said that I think it is only good manners to at least attempt to speak the local language... and if you're going to retire to a non-English-speaking country, you should make the effort to make yourself fluent in the native language. Is learning the language an absolute must... certainly not, it is estimated of the 1 million American and Canadians living in Mexico... less than 25% are fluent in Spanish. What second language is most often taught in non US countries? In Costa Rica for instance the populace has a 95% literacy rate and almost all of the children can speak English better than you or I. In almost any country or city you find yourselves in to enjoy frugal retirement living, you can find someone to speak English. I had always heard how rude the French were, etc. but I really wanted to get some good pate and cheese in a big grocery store, in Fort of France , Martinque. I could not shut the lady up...I was stuffed on samples she insisted that I just had to try. A little kindness goes along way when you retire overseas. Of course you don't have to retire to know that, do you? Point being, if you try and are polite, you will be understood. Just because English is the official language of a country doesn't mean that the locals speak a language among themselves you can understand. In the Virgin Islands, British Virgin Islands, Antigua, and especially Trinidad... English is the language...officially...kind of. When locals speak to each other, they speak in what they call patois, and if you pick up one word out of 10 you're doing pretty good. I will never forget, when we received a call in the states from our boat watcher in Trinidad... after two minutes of trying to communicate he gave up and gave the phone to his Indian wife... in 10 seconds we had established that he wanted me to bring him some new strings for his bass guitar. 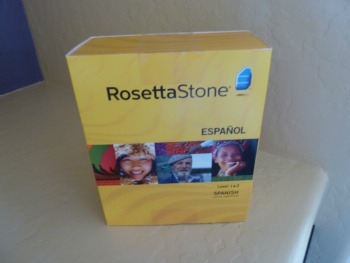 Having said that, if I were to retire to Mexico or Panama say tomorrow I would learn Spanish. There are lots of schools you can attend. You can go the immersion route, where you go live for 2 to 4 weeks with a family that will only speak the native language until you leave. If that sounds a bit much or scares you there is always Rosetta Stone software that can do the job. Don't let language be an obstacle for you to retire overseas. In Mexico for instance, if you do speak passable Spanish, you can really live cheap, you don't have to have a large ex-pat community and your choices of places to live then become almost infinite. If you choose to be surrounded by other gringos, and there are plenty of places that have large ex-pat communities, Lake Chapala in Mexico comes to mind, just be aware that those locales will be more expensive. Speaking Spanish, you can go anywhere you want and really live cheap. Learning the language is also the right thing to do... you are the visitor and should behave accordingly.